Morrisons has surprised analysts, reporting a small rise in trading during the Christmas period, with like-for-like sales up 0.2% in the nine weeks ending 3 January – its first like-for-like increase in two years. The supermarket has also confirmed that interim marketing director Andy Atkinson will take on the role full time. The supermarket’s third quarter trading update reported that total sales, also excluding fuel, were down 1.2%, and fell 1.7% including fuel. Online sales grew 100% year-on-year, the company said. Analysts were pleasantly surprised by the news, having expected a 2% fall in like-for-like sales over Christmas. Morrisons said it was "working at pace to improve all aspects of the shopping trip" and customer satisfaction levels were "significantly ahead of last year". 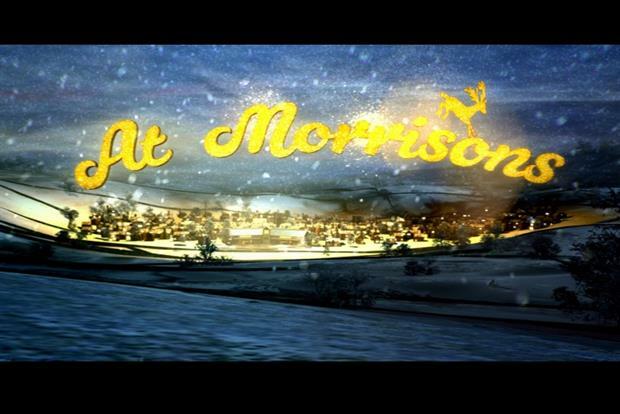 David Potts, Morrisons’ chief executive, said: "We are pleased with our improved trading performance over the Christmas period. "While there is of course much more to do, we are making important progress in improving all aspects of the shopping trip, and our customers tell us they are pleased with the changes. In addition, we have made further progress in debt reduction, and our financial position is strong and getting stronger. "I would like to thank our colleagues for their very hard work and dedication, both in serving customers so well over the busy Christmas period and then again in helping their communities, especially in the north of Britain where the flooding has been so severe." Ryanair has appointed Lidl’s Matthias Wenk as marketing operations director. Wenk – who has spent a decade at Lidl Ireland, in roles including associate marketing director and head of advertising – will join the budget airline on 18 January. At Ryanair, he will report to CMO Kenny Jacobs. Wenk will oversee the airline's advertising, brand communications, sales and marketing. He said that he would help develop the "next phase of Ryanair’s ‘Always getting better’" brand positioning. Jacobs said: "I am pleased to welcome Matthias Wenk to the marketing team, where he will take the new role of marketing Operations Director, overseeing our advertising, brand communications and sales and marketing activities, as we continue to grow traffic, destinations and routes across Europe." How should brands handle the Brexit debate?